Imagine the scene: a dusty alley in a colonial town built near the ruins of one of the oldest learning centres in the world. It is afternoon and the call for asr prayer is reverberating around the hills from where the first recitation of the Mahabharata was said to have rung out. A teenage boy puts on his joggers for the evening's cricket. A younger friend, one of those countless prepubescent kids hanging around every gully match in thrall of the false machismo of those slightly older, shows up, out of breath. He has found out where she plays. You see, there is this legend about a girl who lives in the military cantonment across town, and while these boys refuse to believe the details, they are curious. The legend goes that this little girl - who runs in to bowl from 30 yards and wears a headband like her hero Waqar Younis - can bowl out any boy in Taxila. The two boys, schooled by a state whose preferred national narrative disregards the momentous history of this place, can be excused for doubting the myth of the fast bowling larki. They are not aware that this area was once a revered provincial capital for the Persian and Maurya empires, of Darius the Great and Chandragupta Maurya; they are ignorant of the celebrated heroes who passed through the land, such as the mythical tribal chief Afghana who gave his name to a people, or Alexander the Great, providing a perfect setting for the birthplace of a hero. They make their way into the cantonment and scout the innumerable street matches taking place until they find the one they came for, with the girl. The older boy hurriedly identifies the captains and makes himself available for the other side. It is clear he is not the only young man keen to show this girl who's who and what's what. Cricket is cruel to bowlers, but in this country, where a fast bowler aspires to be the prime minister, the reverse holds true. The girl runs in, snaps her back in the guitar-pluck manner of her hero, and the makeshift wickets go careening behind. As the other boys gasp, she pumps her fists. Of course, this isn't how Sana Mir tells the story. In fact, she doesn't tell the story as much as inadvertently give away details over the course of a conversation we had at the National Cricket Academy at Gaddafi Stadium in September last year. She goes to great lengths to avoid any focus on her achievements. 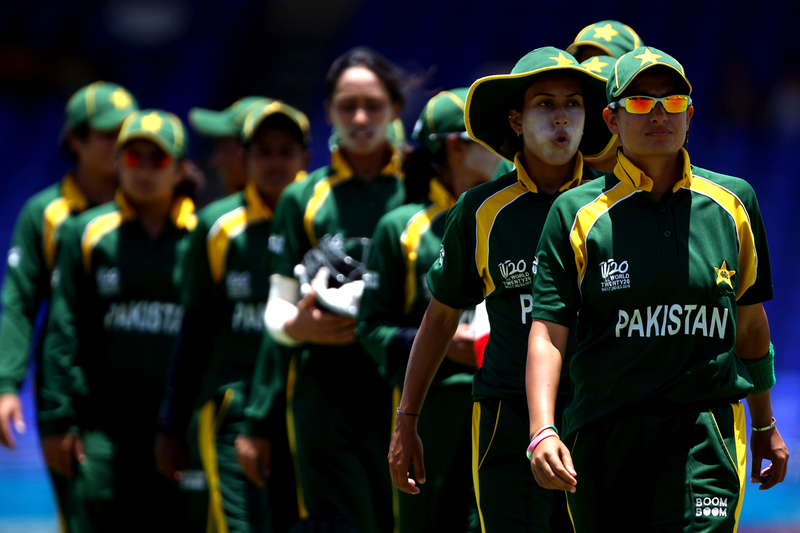 For all the tragedies and tribulations of men's cricket in Pakistan, its story pales in comparison to the emergence and growth of the women's game. Though a women's cricket association was set up in the late '70s, Pakistan only began playing internationally with the arrival of the remarkable Khan sisters, Shaiza and Sharmeen, who set up the Pakistan Women's Cricket Control Association (PWCCA) in 1996. Facing gargantuan challenges, the least of which were financial (their father fully financed many of the team's earliest tours and camps), the sisters and their comrades somehow kept the women's game alive. When the ICC formally merged with the International Women's Cricket Council (IWCC) in 2005, it brought national women's bodies under the purview of ICC-affiliated national boards. The PCB dealt with the matter clumsily, and the situation devolved into an ugly and convoluted legal battle that ended with Shaiza, Sharmeen and other pioneers being ostracised. In the mid-2000s, Mir emerged from the dust of that battle. Born into a military family, her first memory of swinging a bat was at the age of three. Soon she was being stationed at third man in the street matches her brother used to play, which was better than not being allowed to play at all. As the family moved between cantonments, it was "easy for me to go out and play in the environments of the garrison", she acknowledged in a magazine interview once. In the absence of any formal cricket at school or college, her brother became her first coach and the streets her learning grounds. Bitten by the bug of Pakistan's World Cup win in 1992 and the magnificence of the Ws, she began to bowl fast. She was only a sixth-grader when chosen for the school cricket team, made up of boys in tenth grade. But as she approached the end of her secondary schooling, she had to drastically reduce her cricket. For a girl in her early teens, playing on the street was near scandalous, so she began to direct her energies towards basketball, swimming and tennis, as well as to learning martial arts. None of this could distract her from the disappointment of not being able to play cricket. When time came for her to start at the National University of Sciences and Technology, one of Pakistan's most prestigious engineering universities, she found herself fighting tears when leaving for classes in the morning. It was around then that her mother - normally the more cautious of her parents - found an ad for trials for the PWCCA's team and encouraged her daughter to go. Her father told her: "We have a lot of female engineers in Pakistan but not many female cricketers - go and live your dream." When Mir brings up her family, she goes to great lengths to point out their support did not go beyond what Pakistani society deems proper. That is understandable, given the kind of accusations that are laid against not just women who are perceived to have crossed those limits but also their families. A young woman travelling without chaperones and playing sport in public remains unfathomable for many, regardless of class or education. Yet it is the same society from which Mir's team has emerged. Every player she has played with, she tells me, grew up as the only girl who played with the boys in her neighbourhood. At each step those women needed not just the support any aspiring athlete needs but also the additional emotional and social backing - to allow her to continue pursuing her dream. 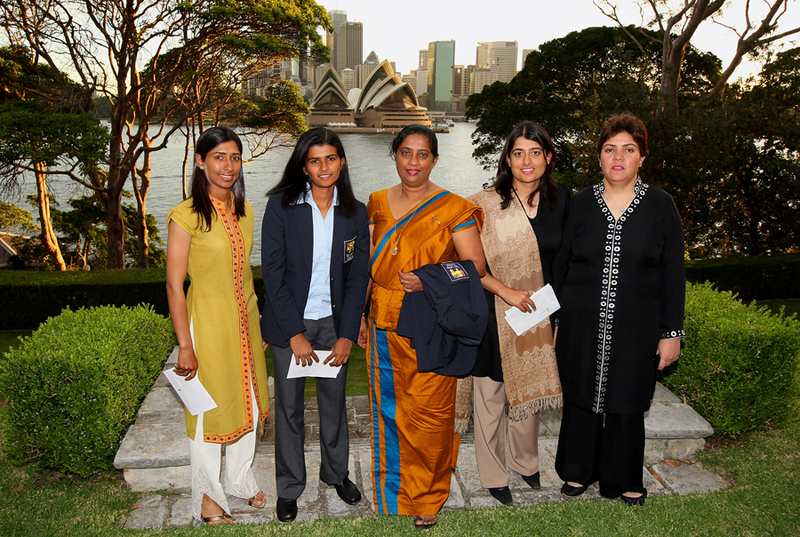 Mir was one of nine debutants after the PCB took control and put out its first women's team, in 2005. In her second game, she came face to face with the great Mithali Raj at the National Stadium in Karachi. Mir wanted to prove a point: an inswinging yorker found a way through Raj's defence and pinged leg stump. India thrashed Pakistan's novices in that match. To make matters worse, Mir's earnest but misdirected training regime left her with a debilitating back problem. A lack of qualified medical care meant she was advised to leave the game - advice she refused. Instead she received a second opinion that allowed her to switch to offspin, which she used to bowl indoors when it was too dark to play outside. This is where the story of the fast bowling larki ends and another, richer one begins. Mir recalibrated herself as bowler and batsman, but crucially she also began to distinguish herself as an on-field leader. "I am a product of street cricket. I never went to any academies. But I always loved being captain. Even when I would be playing in the gully with boys seven, eight years older than me, I would be fiddling with the field and instructing bowlers, and they would end up making me captain. Aur waise bhi mei kisi aur ki sunti nahi thi [And anyway, I don't listen to others]." In 2007 she was chosen to lead Karachi in the National Women's Cricket Championship. A once-strong side had been crippled by the PWCCA schism, and Mir initially argued for a more senior member to be made captain. The management didn't agree and were vindicated when she led the side to a stunning victory over a fancied Lahore in the final. Around that time Urooj Mumtaz, the national captain, signalled to the PCB that she wished to step down so she could study to be a dentist. Mumtaz was a polymath who excelled at several sports (and also blogged briefly for ESPNcricinfo). The PCB needed a successor, someone who would not let her captaincy affect performance; and a player who wouldn't give in to the social pressures her players would face. "You have to be gutsy enough to own the calls you make whether they come off or not," Mumtaz told me in a phone interview in May. "Sana could face up to people and stand up for her team, instead of looking for excuses." The administration thought likewise and in 2009, when Pakistan toured Ireland, Sana Mir was captain of Pakistan. "A captain should only play to win, but to do that you need to believe that any one of your players can win the game for you," Mir said when we spoke in July. Mir was at a conditioning camp organised by the board in Abbottabad. "We know our team can't compete with the bigger sides in terms of resources or even genetics. But we can compete on our skill, our spirit, our desire to fight till the end. We need the opposition to know that yeh team aasaani se jeetnay nahi degi, rulayegi zaroor [this team will not let you win easily, it will make you struggle]. I want the team to show the resilience of Pakistanis. You see it in other avenues of life too - if we unite and get after something, our raw talent is the best in the world." This myth, that raw talent alone can defeat the entire world, has been embedded into Pakistani minds by Imran Khan, first as the country's captain and now as a populist politician. It has its lampooners but Mir provides insight into the potency of the myth, especially as a tool for team-building and player-bonding. "Our team doesn't have any superstars - we have several good players now, but when I started there were almost none. So you have to learn how to get the most out of every player, because no one person can take you to a win. Sir Mohtashim [Rasheed, the team coach] and I and the staff have worked extremely hard on building this resilient mentality within the team. On the field, in the nets, even during off hours when we are playing something as trivial as Ludo, you will keep fighting till the end and believing that you can win." If these still sound like the ready-made sound bites of the modern professional athlete, note some of the most famous wins in Mir's tenure. Most have come when defending small totals, all matches involving sudden, dramatic turning points. Take the second T20 against a fearsome England side in 2013 in Loughborough. Pakistan were defending 116 and despite having better options to bowl the final over, Mir turned to the relatively inexperienced Bismah Maroof. Despite a fourth-ball six, Pakistan pulled off a one-run win - their first against England in any format - thanks to a dramatic, athletic run-out off the last ball. "You always need just one moment to click - a special over or a run-out, and then you get in the zone. With Pakistanis, it is very difficult to ever get us in the zone (laughs, pauses and continues seriously) but once we are there, it is very hard to take us out - once we are there, we don't let go." Possibly her proudest moment - becoming the first Pakistani captain to defeat India at an ICC world event - was even more thrilling. In response to the team's persistent struggles with openers, Mir promoted herself. She top-scored (but because "I threw my wicket away at a crucial point, I never opened again"). Pakistan stumbled to 98, and India were coasting. "The trick is to keep it tight and force the required run rate to keep increasing - that can set off panic. Even against India, we knew that if we deny them singles, they'll be forced to hit out, and so I kept the field up." From 50 for 2, Pakistan began taking regular wickets. Having faced the first ball of the match, Mir was on hand to bowl the last, whipping off the bails in a run-out, as Pakistan won by a run. 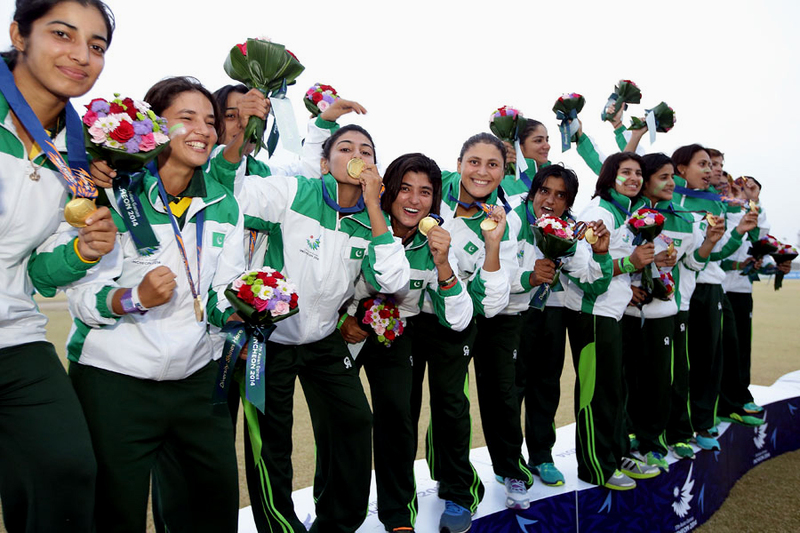 The craziest win was the one that secured a second consecutive gold at the Asian Games in 2014. Chasing a revised target of 43 in seven overs, Bangladesh lost seven wickets for eight runs to end up four short. And then there was her first ODI as captain, against Ireland, when the hosts needed 36 off 14 overs, with six wickets in hand. They lost those six wickets for eight runs. In many ways, these are victories befitting of the tradition of great Pakistani wins, as discussed in Osman Samiuddin's essay on the haal of Pakistani cricket. Briefly put, Pakistani teams enter a trance that turns certain defeats into the unlikeliest victories: "Pakistan begin to inflict their own chaos on the opposition," wrote Samiuddin, "except that where they are using it as a force for good, the opposition is crumbling under the weight of it." When I put it to Mir, she recognises it but explains it in more pragmatic terms. "Teams that have good domestic structures and play quality cricket regularly can get into the zone more easily, but with us you have to inculcate this attitude. We don't play a lot of quality cricket, and therefore we are not as skilled or athletic as the stronger sides. But our advantage is that our players are more street-smart. The moment we see one of the opposition's plans failing, we know we have the chance to run through them. Ab aayi hai opportunity, ab pakar lo isay [The opportunity is here, grab it]." 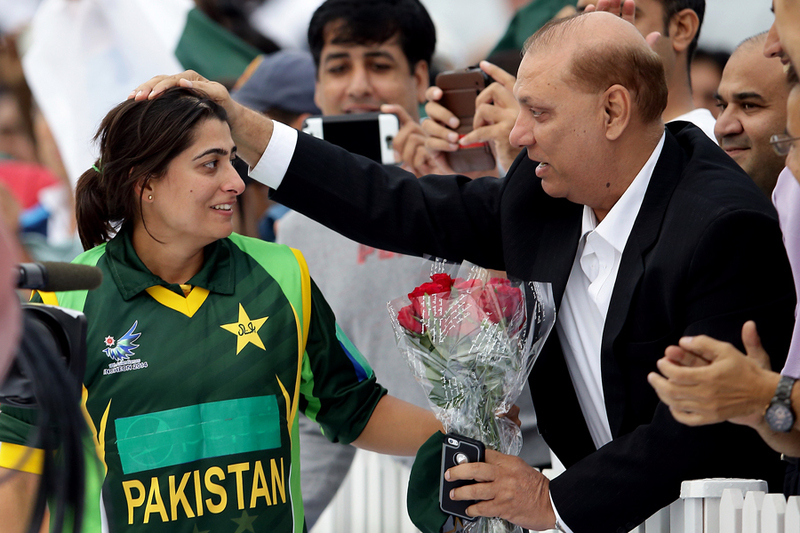 As it stands, Mir is already the most successful Pakistani captain in the women's game. Having inherited a developing core from Mumtaz and playing more games against relatively weaker opponents has helped. But Mir has taken the team to another level (she has a 21-24 win-loss record in one-dayers, and a 22-32 record in T20s). Apart from the two Asiad gold medals, she has led her team to wins against almost every major nation, and to series wins against Sri Lanka, Ireland, Bangladesh and South Africa. Her team has also qualified for every ICC event during her time. A few days after the 2014 Asian Games win, a newspaper published a photograph of Shahbaz Sharif, chief minister of Punjab and one of the country's leading politicians, posing with the winning team. VIPs and parliamentarians line the front row with the team almost obscured. The only player visible is Mir, shunted to one side, holding an oversized bouquet and wearing what appears to be an irritated expression. It could be her general apathy to politicians and those in power, but the expression is as likely to be a sign of her discomfort at being the sole, celebrated face of women's cricket in the country. Every time I ask her about her off-field celebrity, she brings us back to the cricket. "When I became captain, I was the only Pakistani in the ICC rankings. I was pleased the first few times people congratulated me for it. But then the thought stuck in my mind - the only Pakistani in the top rankings. This set my vision for the team, and by last year there were eight Pakistanis in the top 20 rankings [at the time of publication, there are four different players across the ODI and T20 rankings]. And so I feel this is my legacy. My dad had told me that a good leader leaves others behind to run the team." When I asked about her appearance in a Pepsi ad - a decades-old tradition reserved for the country's most popular, if not best (and hitherto always male) cricketers - she changed the topic. Did I know that despite being under PCB control for a decade, the team still didn't have a purpose-built, women-only stadium where they could practise freely? Did I know that such a stadium was promised in the wake of their 2010 Asian Games gold? It is this ability to care deeply for the women's game that identifies her not just as a captain but as a leader. She scouts for new players from the domestic scene. Often she focuses on encouraging those already in the game to continue. She refuses to travel and board in more luxurious options in order to be with her players. She asks for salaries and perks to be increased. She views her players not just as professionals but as minor revolutionaries in the battle to change mindsets. 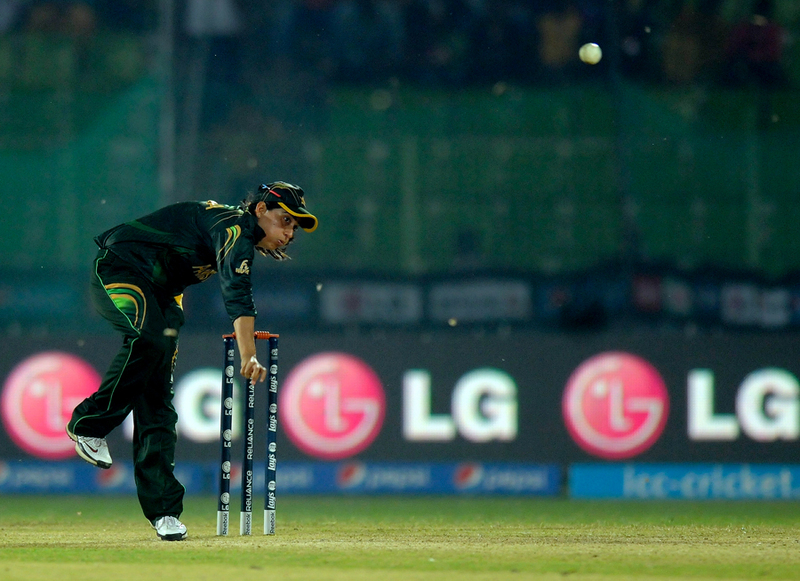 She is, in short, the transformative figure the game needs in Pakistan. And she is far from done. "I haven't thought of retiring yet - I want to play in the 2016 World T20 and maybe the 2017 World Cup as well. I don't have any plans for what I would do after that either. But I do know that cricket is my life, it is in my blood. I can't imagine a life without it."